I think that everybody will know the strange experience of having an extremely important revelation and at the same moment having the realisation that you have had the exact same revelation before. This happened to me recently, and the insight that it is all about must have come to me at least four time earlier. I seem not to be able to remember it. Or to believe it. It is a bit difficult to describe it, and rather embarrassing too, but I will try it anyway. 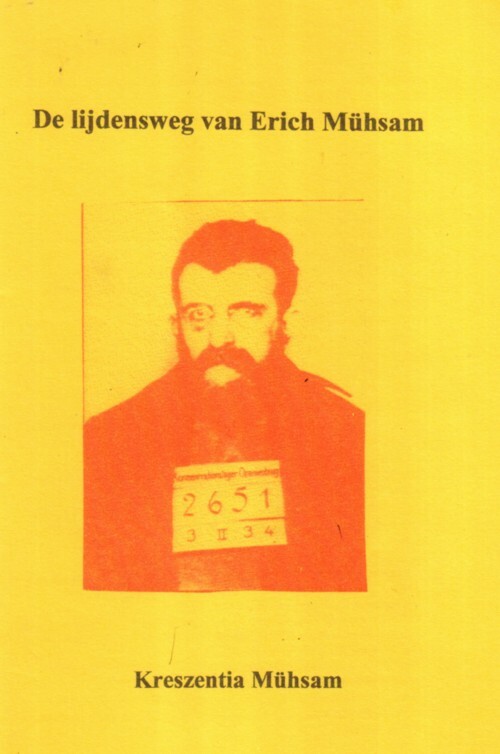 You probably know the story: Erich Muhsam was an anarchist, pacifist and idealist, who spent a large part of his life in SS prison camps, where he was tortured to death before WW2 started. He is known as a hero, a source of inspiration and an example for many people. Not only for those who knew him personally, but also for people like me, who have difficulties with dealing with reality. I had some nightmares about what is written in the booklet. How can such a good man have such a horrible life? The answer came in the form of the insight that I mentioned earlier: there is difference between being good and right. We all seem to live in separate realities, which are our life’s. Life’s can touch, but we always stay separate from each other. To try and interfere with the life of an other being in a way that this other being doesn’t want to, seems to cause the opposite effect on your own life: somebody will do unto you what you do onto others. Life seems to be meant to do whatever you want, and only that. To try and let other people do what you want, has a reverse effect on your own life. It seems that this happened to Erich Muhsam. His ideals were more important to him than his own life. That is extremely heroic, but it is not my choice. And, more important, it is not asked from me. I am afraid that I will not be able to remember this very long. I forgot it several times before. And, of course, I don’t even know if it is true. But it sure seems so at this moment.